The Electron Devices Society helps to promote the IEEE’s Nominate-a-Senior-Member Initiative to encourage our members to elevate their IEEE membership grade to Senior Member. This is the highest IEEE grade for which an individual can apply, and is the first step to becoming a Fellow of IEEE. If you have been in professional practice for 10 years, you may be eligible for IEEE Senior Membership. New Senior Members receive an engraved wood and bronze plaque and a credit certificate for US$25 to be used towards a new IEEE society membership. Upon your request, IEEE will send a letter to your employer recognizing this new status as well. The URL to request this letter is http://www.ieee.org/membership_services/membership/senior/notify.html. Note: You will need to sign in with your IEEE account. As part of the IEEE’s Nominate-a-Senior-Member Initiative, the nominating entity designated on the member’s application form will receive US$10 from IEEE for each application approved for Senior Member grade when there are at least five approved applications. As an EDS member, we would appreciate it if you could indicate on your Senior Member application form that EDS is your nominating entity. Please be aware that even if you decide to list EDS as your nominating entity, you still need to have an IEEE member nominate you along with two other references. Your nominator and your references all must be active IEEE members holding Senior Member, Fellow or Honorary Member grade. EDS Chapters - Consider holding a Senior Member Recruitment event! Step-by-step help can be found in the IEEE Senior Member Nomination Event Guide. Questions on the nomination process should be directed to senior-member@ieee.org. 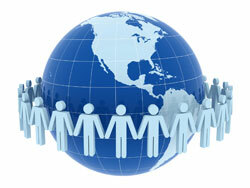 We strongly encourage you to apply for IEEE Senior Membership to enhance your career. At the same time, you’ll be helping EDS. 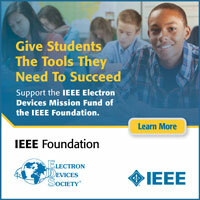 Thank you for supporting IEEE and remember to indicate EDS as your nominating entity!